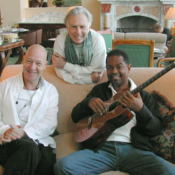 In mid 2004, Earl Klugh arrived with his ensemble to play in Cape Town, South Africa. 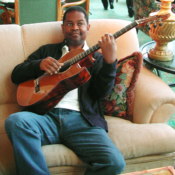 I was introduced to Earl by my good friend Cedric Samson, who knows of my guitars and uses them in his studio. I was fortunate enough to be able to meet up with Earl and Denise his manager at their hotel. I had with me 3 of my classical guitars, one of which was a classical jazz flamenco crossover. This is a guitar with a lot of “zing”. 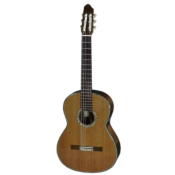 It tends to accentuate mid to high notes and is perfect for jazz and flamenco style playing. 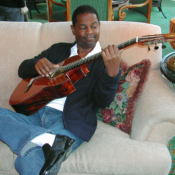 This is the guitar that in comparing to my concert classics, Earl really enjoyed. 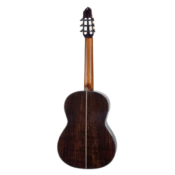 His comment on receiving his guitar in April of 2005 was, “The guitar is wonderful, I have not been able to put it down, since its arrival.” I used African Blackwood for the back and sides and to give it extra clarity and definition.